Ep. 24, A Year Of Rage! In this episode, we hear about the inescapability of body shaming, the awfulness of facing misogyny at work and the struggle to talk about an oft-covered-up issue. Plus, we celebrate one year of rage. Our sincerest thanks to every single person who has called, listened, shared, and raged with us in the last year. We're taking a brief break and will be back in 2019 with all the freshest fury. In the meantime, keep calling, and contact us at forabadtimecall@gmail.com with any ideas! 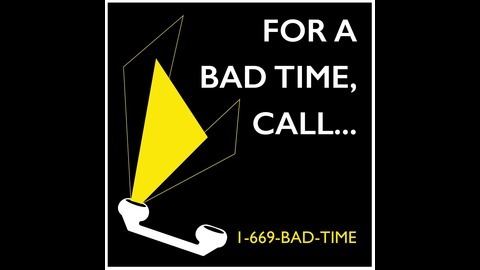 For a Bad Time, Call... is a podcast dedicated to women's anger. Our hotline voice-rage-box is open 24/7 at 669-BAD-TIME to receive any negative feelings you may want to vent. Each fortnight, we take the best of those calls and release a podcast episode filled to the brim with frustration, exasperation, and displeasure. It's fun, we promise! 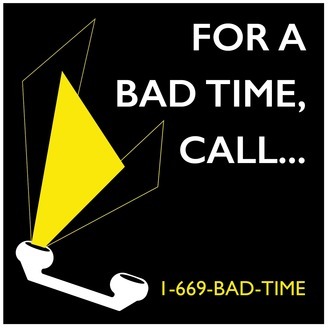 For a bad time, call 669-223-8463 (BAD-TIME). Find us on twitter @ForaBadTimeCall, on Facebook at For a Bad Time, Call… on the internet at forabadtimecall.com and out on the street, just yelling at the sky in frustration.